The Paleo-Creatures Kosmoceratops (<em>Kosmoceratops richardsoni</em>) made by talented Spanish artist Jesús Toledo. 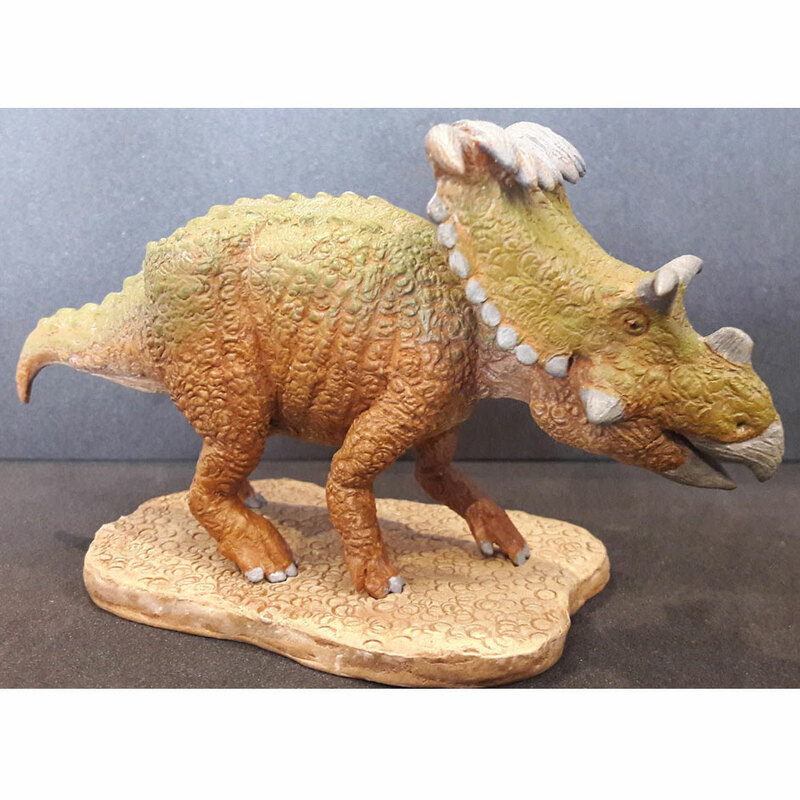 A hand-painted, polyurethane resin Kosmoceratops dinosaur model, a great addition to the collection of any dinosaur model fan. Cos-mow-sera-tops (Ornate horned face). Please note, as each replica is created individually, hand-painted and unique, some variation in the paint colours from the image shown may occur. Length 13 cm approx. 1:38 scale approx.